Krutika Thakur from Mumbai, B.Sc Graduate. Krutika Thakur is Graphic Designing-creative Opportunities and currently have no work experience. ADOBE PHOTOSHOP ADOBE INDESIGN COREL DRAW ADOBE ILLUSTRATOR VECTOR GRAPHICS & DI.. GRAPHIC DESIGN AND W..
are one of expert skill area's of Krutika Thakur . 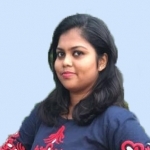 Krutika Thakur is working in Sales Marketing industry.